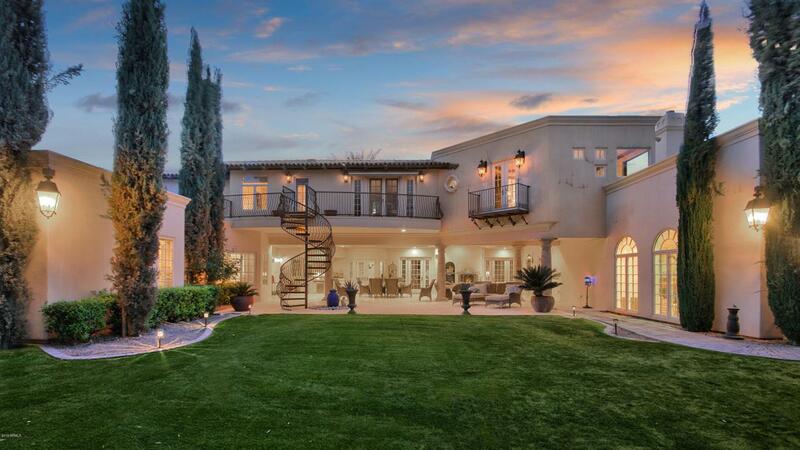 Classic Paradise Valley Santa Barbara Estate. Situated on a full acre with lush and established landscaping. With 7,221 square feet this home provides all the amenities of elevated modern living. 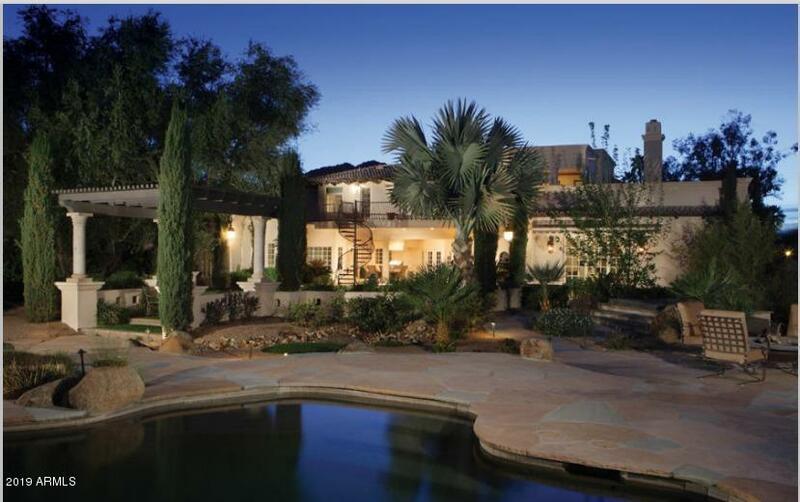 5 bedrooms, 7 baths, gourmet kitchen, formal living and dining. Office with gas fireplace. Cosy theatre room with temperature controlled wine cellar. Workout room with ballet rail and en suite bathroom with sauna and steam shower. Guest casita with full kitchen and laundry. Upstairs master bedroom suite is a true oasis with walk-in closet and walk out balcony overlooking the lush backyard. Finishes include stunning Pella Architectural windows and doors. 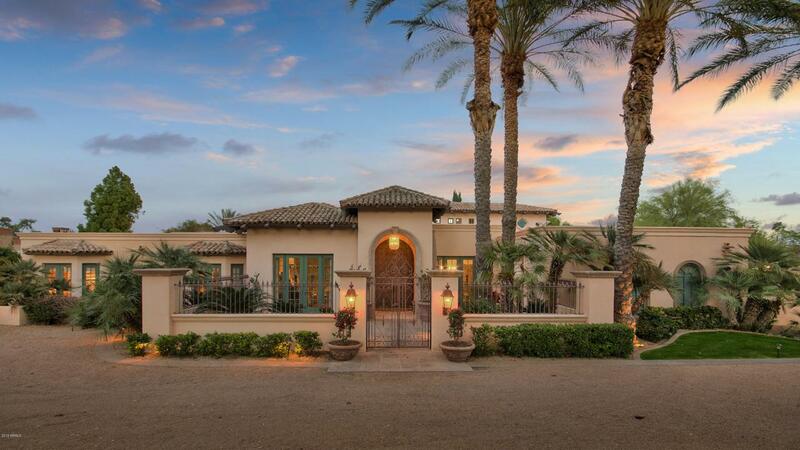 Privately gated with a beautiful iron gate. 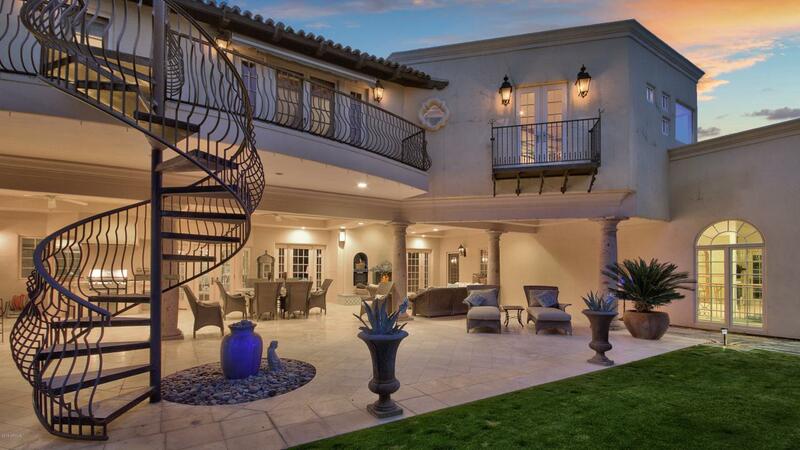 Charming front entry fountain.